Steroids most often dominate sports headlines, as athletes tend to be some of the biggest offenders of using performance-enhancing drug. Though these compounds have been known to increase muscle mass and help those looking to stay in peak physical condition, athletes aren’t the only ones using them. Healthcare professionals have also prescribed steroids for various health conditions, but it is important for consumers to know the negative health risks. Now, researchers have found that taking anabolic steroids such as testosterone could lead to premature death -- particularly for men. “This study has shown that anabolic steroids are associated with a range of side effects that can be directly attributed to their pharmacological activities,” said lead researcher Dr. Henrik Horwitz. To get a better look at the side effects that come from anabolic steroids, the researchers analyzed 545 men who all tested positive for testosterone and compared them with 5,450 men who had no drugs in their system. After an average of seven years, the participants were re-evaluated, and the researchers assessed their overall health. 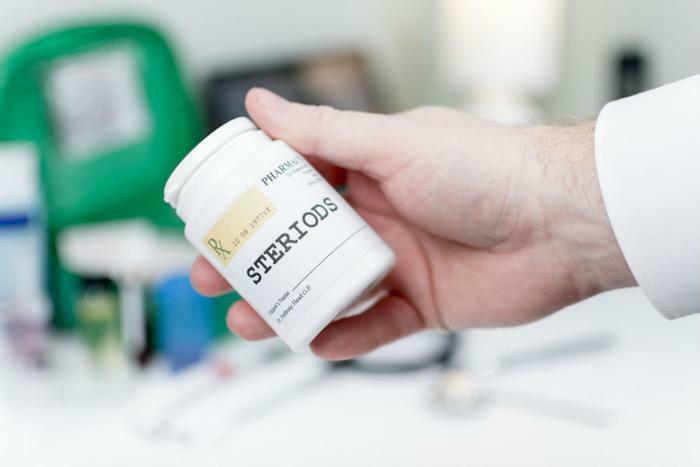 While the increased risk of death was perhaps the most startling finding, the researchers found that taking anabolic steroids presents a variety of different health risks. Those who were taking testosterone were three times more likely to die due to the substance, and they were admitted to the hospital at a higher frequency than their clean counterparts. Steroid-users were also at a greater risk of developing acne, erectile dysfunction, and gynaecomastia -- a condition that causes a male’s breast tissue to swell. In the short-term, steroids can have an effect on users’ personality, increasing irritability and aggression while also impairing judgment. Steroids can be become addictive; experts from the National Institute on Drug Abuse suggest that a combination of therapy and medication can be helpful in fighting addiction. Patients have taken antidepressants; pain medication for the muscle and joint pain; and a hormone regimen for symptoms associated with steroid withdrawal.